Auch im Jahr 2013 wurde der Schwerpunkt in der STEINERT-Gruppe auf die Entwicklung der Auslandsmärkte gesetzt. The STEINERT Group has a continuing high focus on developing its export markets. Despite increased commitments in 2013, it was not possible to achieve the set targets in all markets. Last year proved a difficult year, characterised by falling prices for raw materials and low trading volumes, e.g. for scrap trading. Growth in the American market in was disappointing and hence turnover remained significantly below expectations. Nonetheless, some progress was made in 2013. For example, STEINERT China was established as an independent company. A manufacturing operation was established in Brazil, and the Japanese subsidiary in Tokyo was reorganized. As a result, the STEINERT Group - as a whole - remains focussed on broadening its international horizons. STEINERT will continue to maintain and service its existing customer base, as well as building and establishing new customer relationships around the world. This will be accomplished starting immediately by the addition of further Sales personnel in the form of a Head of National Sales, responsible for Germany, Austria and Switzerland (DACH countries) and a Head of International Sales. The focus has been on STEINERTS’s in-house test facility for improving product yield and purity - especially where fine-grained materials are concerned eg. refuse incineration cinder. The Induction Sorting Systems (ISS) from STEINERT achieved yields of well over 90 per cent in this area. Nowadays, one of the main focuses in this area is on the capture of all of the free metals contained in the slag. This not only opens up another means of ‘value-adding’ to refuse incineration cinder, it also fulfils the objective of producing a substantially metal-free slag. Similarly, STEINERT has further developed the established technology of the non-ferrous metal separator (NES), essentially by increasing the rotational speed of the pole drum (4,000 r.p.m.) to achieve a higher change frequency of considerably more than 1 kHz. This results in an increased yield of up to 30 per cent in the fine grain range. 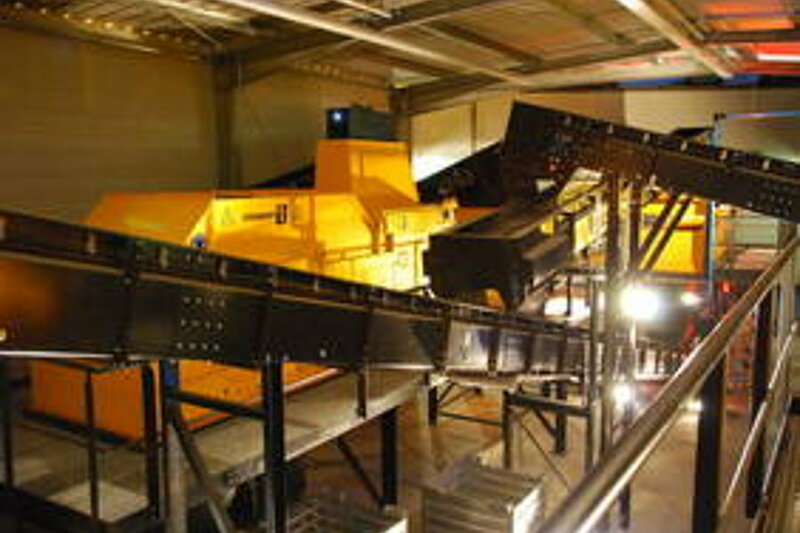 The ARGOS-C sensor in a STEINERT KSS combined with a 3D and colour sensor can increase the purity of a pre-enriched Zurik (Shredded Nonferrous Sensor-Sorted Scrap (predominantly stainless steel)) material flow to up to 95 per cent for the manufacture of a valuable and marketable stainless-steel product. The STEINERT combination sorting system (KSS), which is equipped with the new ARGOS-C sensor, processes various signals such as colour, conductivity and shape and intelligently evaluates them in order to achieve the best possible sorting results. This 2014 marks the 125th anniversary of STEINERT’s foundation. We will be celebrating this anniversary with a STEINERT Open Day at the STEINERT location in Cologne in September. Alongside presentations of the STEINERT technologies in our in-house test facility, visitor attractions will also include an in-house trade show, training sessions on current technologies organized as part of the STEINERT University and an international sector meeting with a joint get-together.